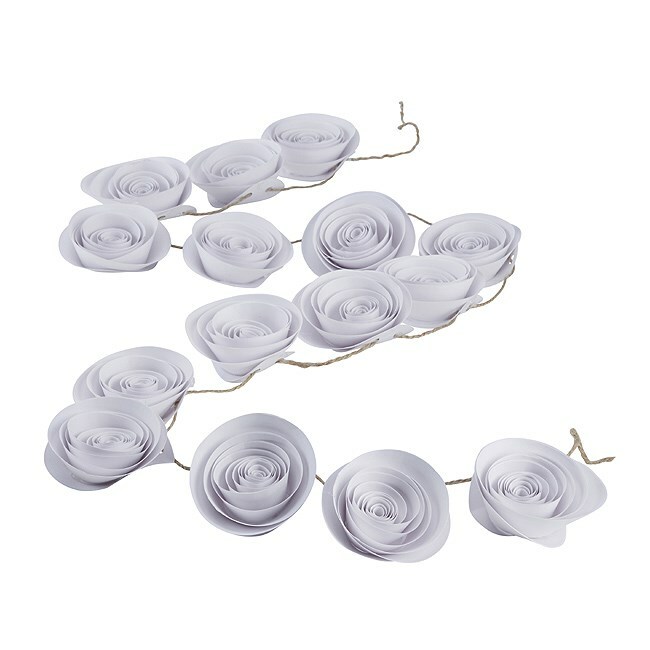 This Pretty White Paper Rose Garland is ideal to use as a hanging decoration and an alternative to bunting or on the back of chairs or looks great as a table decorations! A great addition to using just bunting! 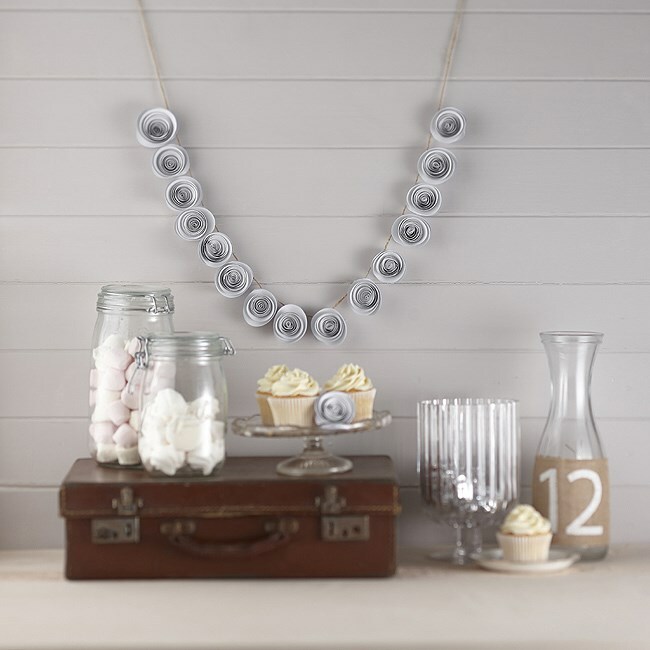 Handmade from paper this stunning rose garland measures approx. 1.5m and comes with 15 paper roses.